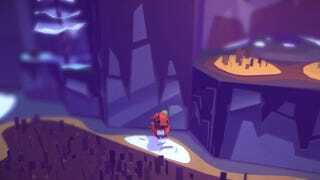 Tearaway, the unsung hero of the PlayStation Vita, is finally making its way to the PlayStation 4, Sony just revealed during its Gamescom press conference. Given how weird some of the Vita-specific features in Media Molecule's game are, however, the studio was hesitant to call it a "port" or "HD remake." Rather, the LittleBigPlanet creators said they're making an...adaptation of their Vita game they're calling Tearaway Unfolded. As they explained in a corresponding blog post, this came about once the studio realized that simple trying to translate all of the original game's whacky touch-sensitive, motion-controlled, and otherwise mobile-friendly features wasn't going to work. In addition to a visual overhaul, they'd have to retool some of the game's unique mechanical flourishes for a TV-based system. 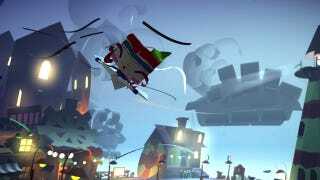 Bells and whistles aside, the Tearaway adaption is exciting simply because it's one of the most beautiful games that's come out in recent memory. That wasn't surprising, considering it was made by the same studio known for LittleBigPlanet. But the game still flew under the radar thanks to the relatively obscurity of the PS Vita. Hopefully, blowing the game up on the PS4 will help more gamers discover this underrated gem.